While I can always find a new teapot or duvet cover or something else to perk up my house, I always struggle when it comes to lighting. I finally realised I needed to rethink how I view lighting, looking at it more as art than function, so when Elizabeth mentioned Radiance in her guide to Hebden Bridge, I decided to take a closer look. And oh, is it pretty. 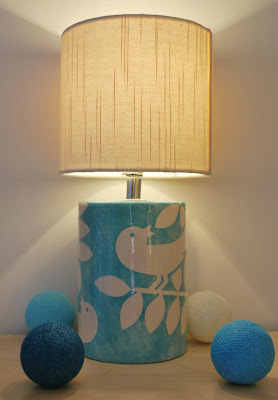 We've written about how lovely Hannah Nunn's stuff is before but I still covet this lamp. 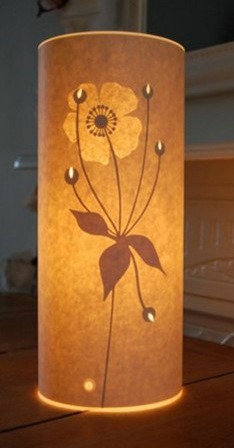 It's £67 and would look perfect in my bedroom. 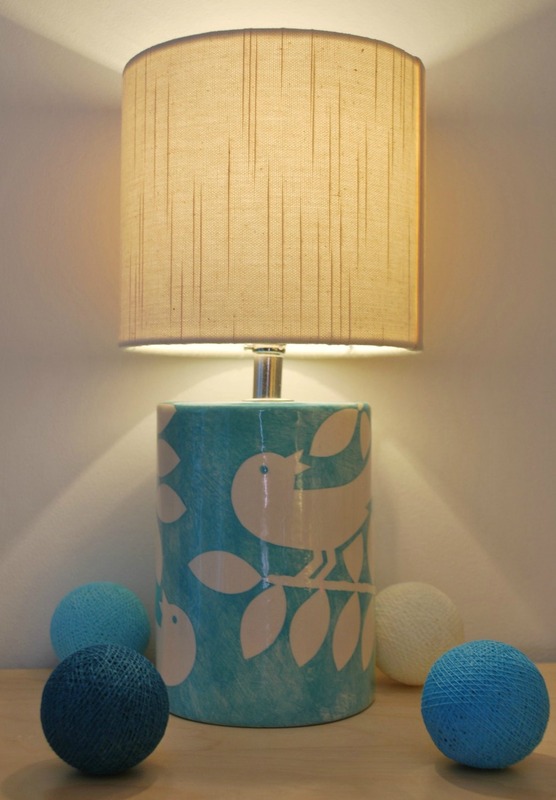 Moving away from Hannah's designs, I'm quite taken with this bird lamp by Ken Eardley. 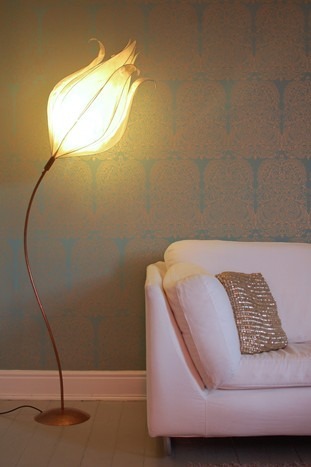 You can buy it with the shade for £99 or without for £72. I'll be saving my pennies for this floor lamp though. £295 is a lot of money to spend on one thing but it's so damn gorgeous and comes in five colours. Each one is custom made so you get what you pay for. I love the curves. Radiance don't just sell awesome lighting though. They have other lovely bits and bobs. 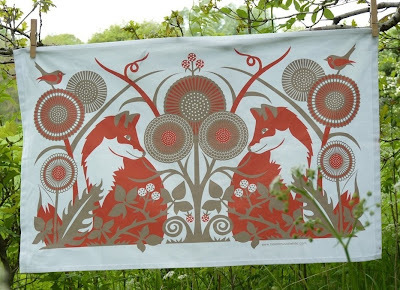 I think my favourite has to be this fox tea towel by Helen Musselwhite. It's £10. So now I have even more of a reason to go to Hebden Bridge!